Does Peeling an Orange Exhaust You? To retrain ourselves to eat healthy foods, we need to find joy in the process of food preparation instead of turning to the instant gratification of junk food. I watched a vlog once in which a woman was eating chips because "peeling an orange is just too much work." That off hand comment which had nothing to do with her topic really stuck with me. I wondered, "Is peeling an orange an exhausing task? Is the pay-off of a delicious and nutritious piece of fruit not worth the few minutes it takes to peel or to cut up an orange?" After those initial thoughts, I started to analyze my own behavior. Sure enough, food laziness crept into my thinking at times. When I wanted a snack, I sometimes had a desire to just open a package rather than go to the "trouble" to prepare a healthy, real-food option that was available in my kitchen. Peeling an Orange -- Too Much Work? We literally open a bag, box, or carton and begin to eat. We can take that package to the couch or desk and contine what we were doing, even driving, while we eat. There is minimal disruption to our routine. Our hands do not get dirty. We have no dishes to wash. Compare that to a snack of fresh fruit which we have to wash, dry, and possibly cut up. When we are done, we may have a colander to rinse out, a knife and cutting board to wash, and a bowl to put into the dishwasher. When you read that description of preparing fresh fruit to wash, it doesn't really seem like a lot of labor, does it? I mean, considering the health benefits of eating fresh fruit over eating a bag of chips, the small investment in preparing fruit is well worth it. Our laziness when it comes to food is astounding. How can we cure ourselves of this food laziness? Educate ourselves about the negative affects of junk food. Yeah, we all know it's bad for us. But if you truly study the science behind a diet filled with sugars and refined carbohydrates, you will come to view junk food as poison, not as food at all. 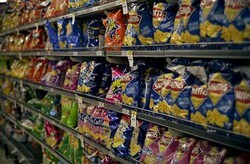 If junk food is poison, you will make every effort to avoid that poison. Take delight in the process of food preparation. Instead of rushing to the immediate gratification, slow down. Go back a few steps. Learn to appreciate the selection of fresh fruits, vegetables, and meats. Shop in a store that is peaceful; meditate on the wealth of food options you have. We truly are blessed with abundance. Plan your meals, looking forward to eating new dishes, and fueling your body with healthy choices. Invest in quality kitchen tools so that cooking is not laborious. Then make time for cooking. Rushing to get dinner on the table in twenty minutes makes for a stressful experience. Savor the washing, chopping, sauteeing and simmering. Stop and use your senses to appreciate the cooking process. When the meal is ready to eat, say a prayer of thanks for the meal and your able hands to prepare it. Eat with delight, knowing that you are eating whole foods that will nourish your body. Have You Ever Been Guilty of "Food Laziness?" A dish drying mat is a wonderful kitchen tool not only for stacking just washed dishes but also for other kitchen tasks. This is my product review. A bushel of peaches is a lot, but there is no need to let them go to waste. Here are recipes and ideas for using every one of those peaches. Stretch your food budget by not buying groceries one week in the month. With this method, you use what you already have to plan meals instead of going shopping. Eating low-carb is more expensive than the standard American diet. But it is worth the cost. Jimmie...I so appreciate your food pep talks. I need these kind of articles to keep me towing the food line. To cook crab you must buy it live. This creates a problem most home cooks don’t often face – before you cook the crab you need to kill it. There are many reasons that people send care packages, but what makes a care package even better is packing it with cookies! Here is how you can do it yourself.